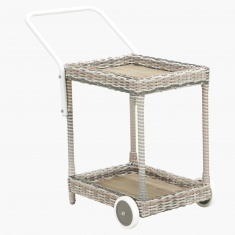 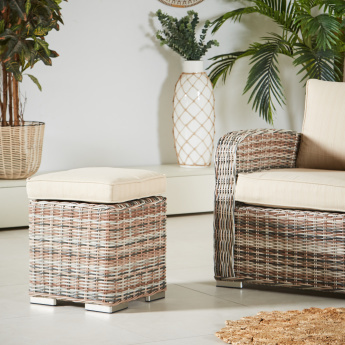 Uplift the decor of your outdoor area or garden with this stunning stool. 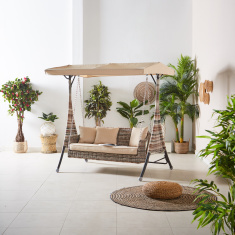 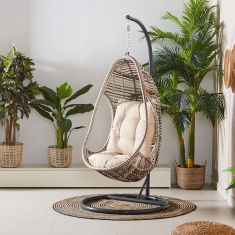 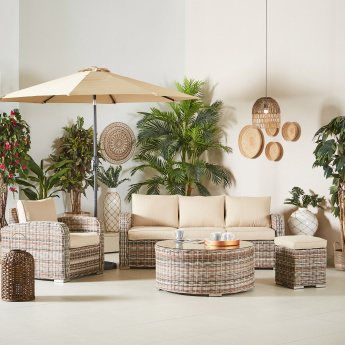 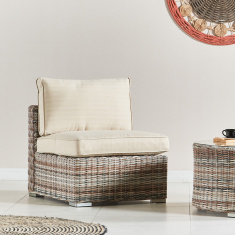 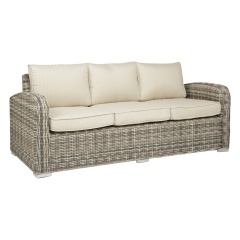 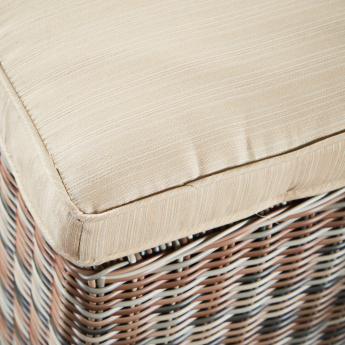 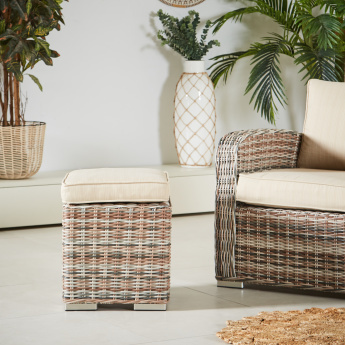 Flaunting a sturdy design made of weather-proof synthetic rattan and metal, the cushion is made from foam-filled upholstered fabric with a reversible option for added durability. 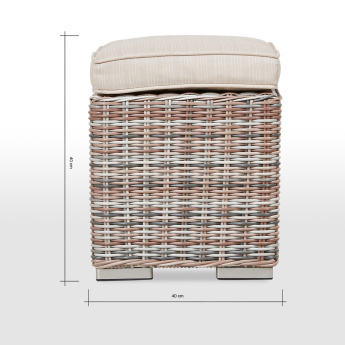 It has an eye-catching modern make with shower-proof cushion to add to its appeal.